2016 Oxfordshire Artweek is fast approaching. I spent the day finalizing the layout for my garden exhibition. 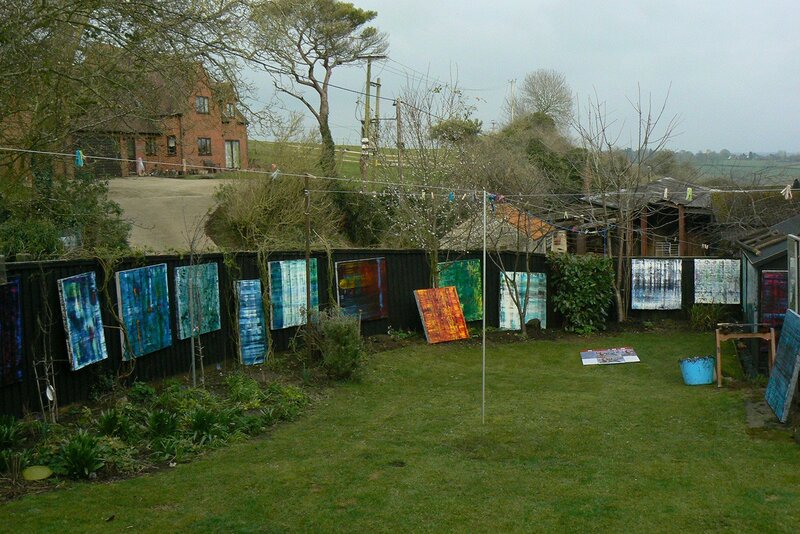 The canvasses hang on the perimeter fence, arranged to give the viewers a visual tour. The open air environment, space and natural light enhance their vibrancy.